The Cardigan Welsh Corgi is one of the two Corgi breeds that originated from Wales. Both Corgis are thought to be descendents of breeds such as the Pomeranian, Keeshond, Schipperkes, and Swedish Vallhund. However, unlike the Pembroke, the Cardigan arrived in Cardiganshire. 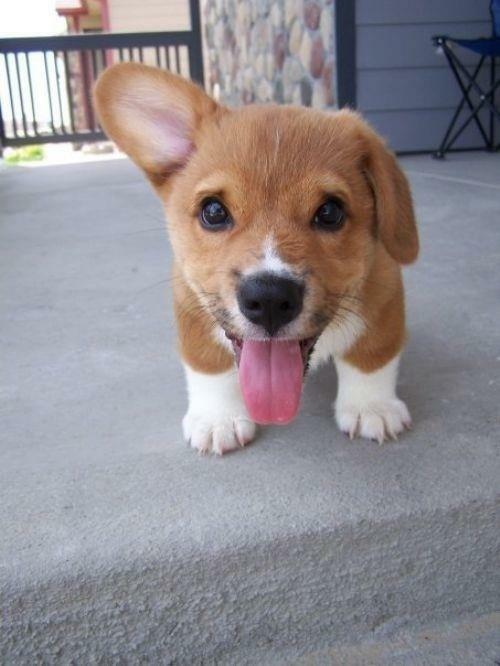 This breed of Corgi happens to be the eldest of the two. They are herding dogs who were bred to nip the heels of cattle to get them into place. Today they are still used as herding breeds as well as loving companions. The Cardigan has larger, more wide set ears that the Pembroke. Cardigan's are the breed of Corgi that does have a tail. 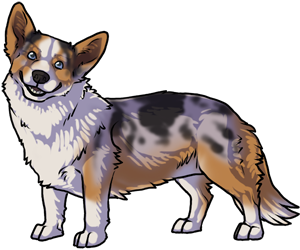 The Cardigan Corgi branches off from the same line of used dogs as the Dachshund.